INDEFF | Countless parts. One flow. INDEFF is an experienced Industrial Automation and Manufacturing Execution Systems expert. We boast more than a decade of experience as an Endorsed Wonderware System Integrator Partner and have successfully completed more than 200 projects all over the world. How does INDEFF innovate? We prepare companies for Industry 4.0 by creating smart factories. 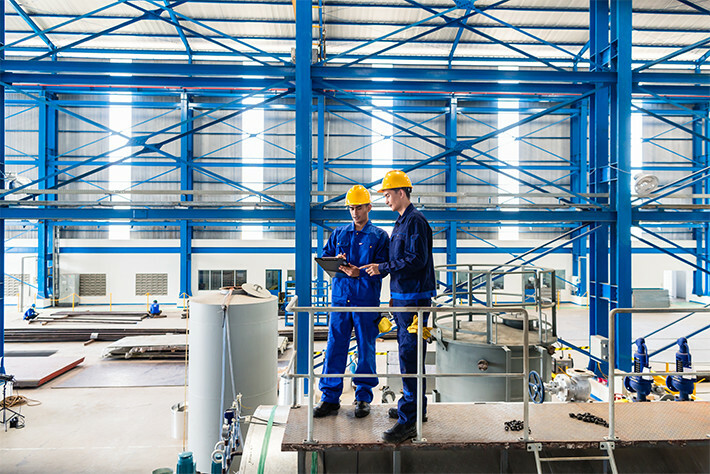 As a proud ThingWorx partner, we take full advantage of the possibilities of the Industrial Internet of Things and set up fully connected supply chains for maximum efficiency. Wouldn’t you like to know if a serious production issue could arise hours, or even days, before it actually happened? Or avoid solving the same problem twice, on opposite sides of the globe? We would, too. That’s why our experts do what they do best: automate, integrate and elevate to make your production process flow flawlessly. We decrease downtime, increase productivity and provide extensive data to make every decision easier for you. How exactly? Discover our 3 main competences. INDEFF consultants have successfully completed automation and optimization projects in a wide array of industries. And it doesn’t stop there. We strive for long-lasting partnerships to guarantee consistency and foster innovation. The personal commitment of all our employees is appreciated everywhere. INDEFF is always looking for the best and the brightest to strengthen our company. Are you ambitious, qualified and looking to work on large-scale industrial automation projects? We know just the place for you. Getting acquainted with new an entirely new automation system can be quite stressful for clients. That’s why INDEFF offers the ultimate peace of mind: 24/7 operational support, tailored specifically to your needs and circumstances. INDEFF has a permanent presence in Europe, the United States, the Middle East, and South-East Asia to ensure personal support close by. We operate on a global level to gather international experience and build long-lasting relationships with all of our clients.